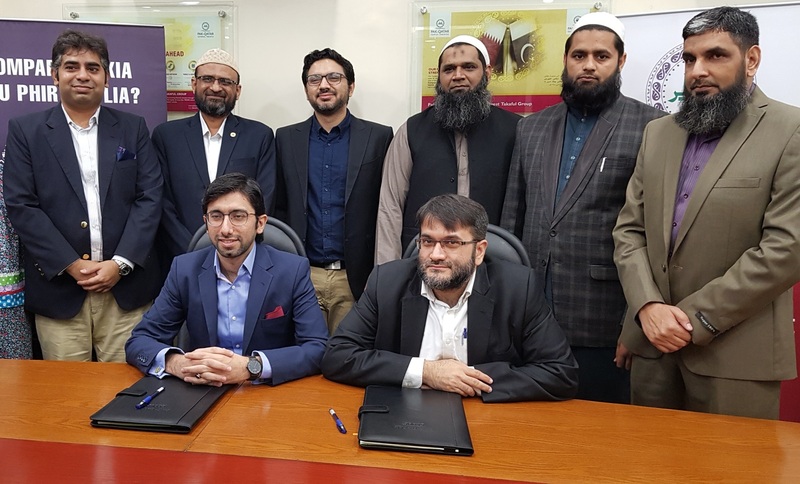 Karachi, Pakistan; March, 2019: Pak-Qatar Family Takaful came into an agreement with Smartchoice.pk after a signing ceremony held in Karachi. The agreement will enable Smartchoice.pk to offer Pak-Qatar Family Takaful’s pre-underwritten individual accidental and health products on their platform for the convenience of users in search of Takaful plans. The agreement was signed between Mr. Azeem I. Pirani, Head of ADC & Bancatakaful, and Mr. Sibtain Jiwani, CEO & Founder of Smartchoice.pk along with other senior officials from the organization. * Mustaqbil merged with PQFTL Bancatakaful from May, 2016.